The LEGO MOVIE WORLD is Now Open! LEGO MOVIE WORLD officially open! If you’ve been wondering ‘when is the LEGO MOVIE WORLD opening?’ for some time now, you’ll be pleased to hear that the wait is finally over. That’s right, today (27th March 2019) the LEGO MOVIE WORLD was finally unveiled to the public at LEGOLAND Florida! There are two brand new rides, a totally reimagined ride, character meet and greets and a huge playground for you to enjoy. So, if you’re visiting Orlando with kids or you’re just a big kid at heart, make sure you get your LEGOLAND Florida tickets as this incredible new expansion is sure to be a big hit. 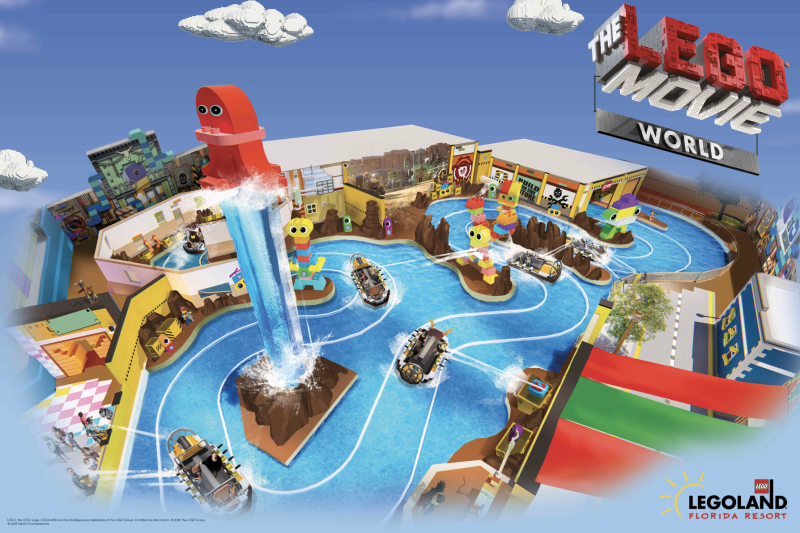 The park’s interactive boat ride, The Quest for Chi has been transformed into an exciting new attraction that is a key part of the new LEGO MOVIE World. The Battle of Bricksburg is still a thrilling water ride, but this time you’ll have to battle against an army of DUPLO aliens who have invaded Bricksburg. You’ll have to track them down and stop them from stealing LEGO bricks by spraying water at a series of targets. UniKitty’s Disco Drop is another new attraction that transports you to a colourful world through a vibrant rainbow portal. 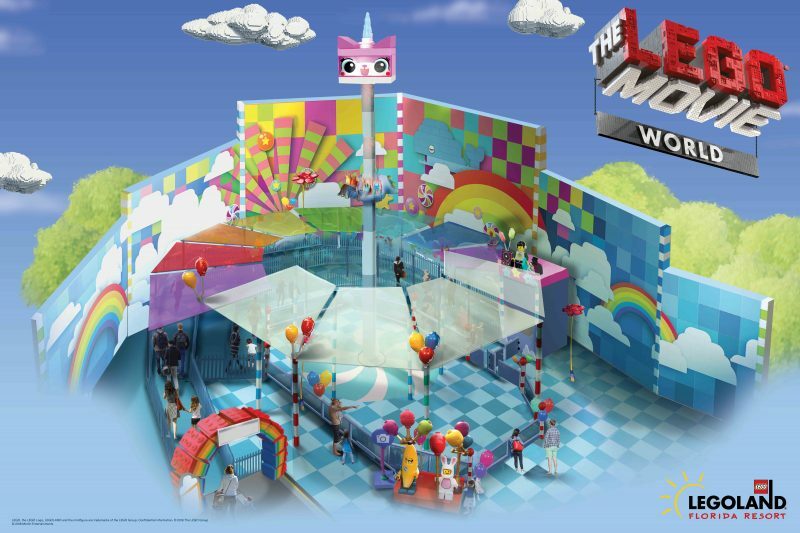 This is where you can join Unikitty and her many personalities. Get ready to ascend to the top of Cloud Cuckoo Land before dropping, spinning and bouncing back down to the ground when you least expect it. The third attraction in the LEGO MOVIE WORLD, is called THE LEGO MOVIE Masters of Flight. This is the only attraction in the world that lets you ride on a flying couch! You’ll be whisked away on an action-packed adventure surrounded by familiar LEGO characters like Emmet and some new faces from the LEGO MOVIE 2. There's also be a huge space-themed playground that the little ones will love, as well as character encounters, unique photo opportunities and much more. Want to be one of the first to visit the LEGO MOVIE WORLD? Click here, to book your LEGOLAND Florida tickets now.